I’m in Blighty at the moment, so this will be brief. We were in Stratford upon Avon, doing the Shakespeare thing today and found this shoehorn in the New Place Museum attached to Nash’s House. 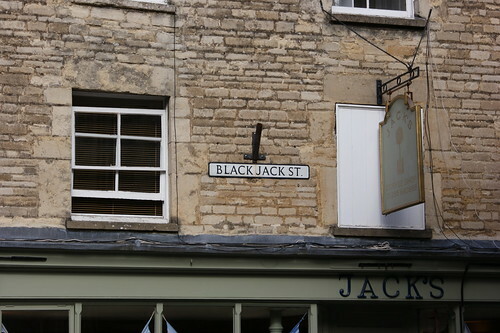 It dates to the period before Elizabeth’s death in 1603 and like everything else in the place, may (or may not) have belonged to someone who might have bumped shoulders with the Bard once in the street, or stepped over him when he was passed out, drunk beside the river. 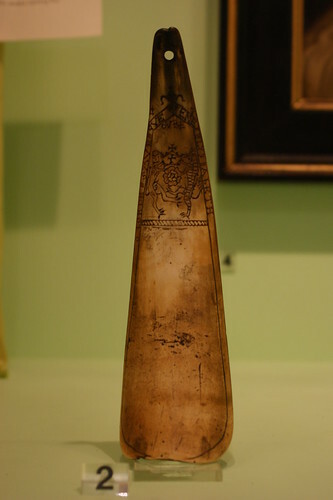 The decoration is a little coarse, and quite crude when compared with Mindum’s shoehorns of the same period. The central feature is the crowned Tudor rose, with the supporters a lion and a gryphon. The legend within the parallel lines is O LORDE SAVE QUEENE ELYZABETH. 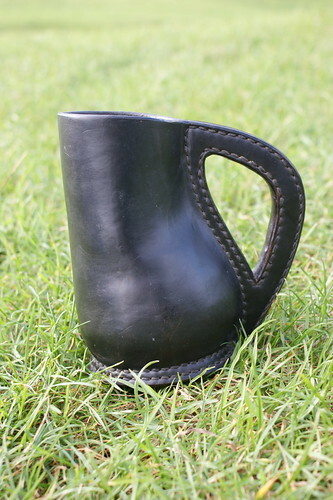 It has seen some use because the end has worn thin and there is a groove in the tip worn by the cord used to hold it. 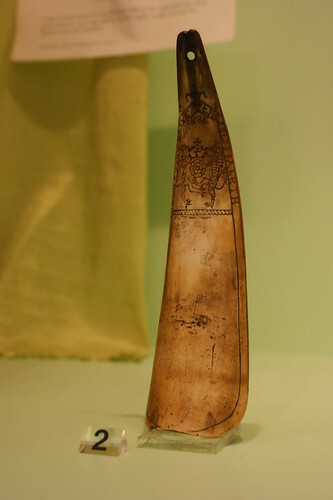 The work has obviously been done with the horn in its natural state, not flattened and reshaped as some texts suggest.